Calvert Football’s mission is to intentionally use the game of football to significantly impact and change lives. Looking back into the past year we can see that many lives have been impacted and some even changed through our program. Three years ago this program took on a change and each year we take notice to tremendous growth. Tonight we celebrate the impact, change and growth by taking in the memories of the 2014 season and looking back at the careers of our seniors. 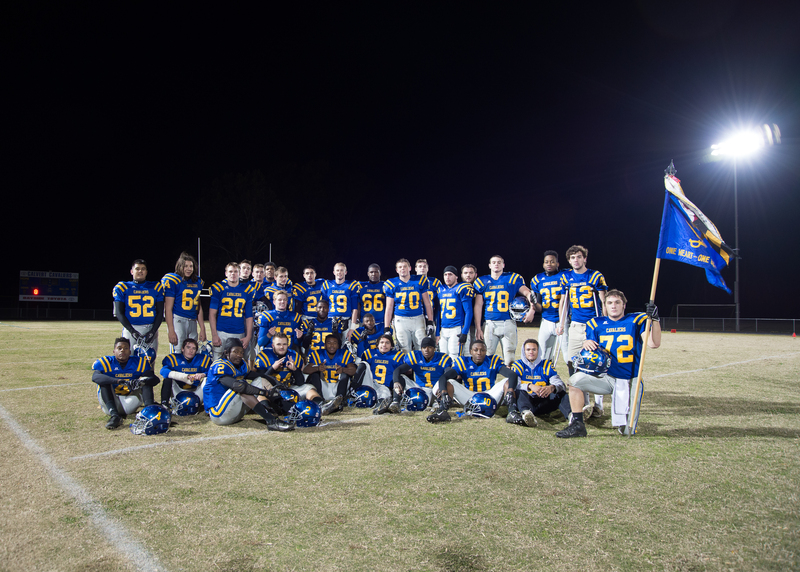 The 2014 Calvert Football Banquet and Senior Celebration culminates a very significant time in our program’s history. It starts with recognizing the tremendous contribution our senior class has had in helping Calvert football get back to its outstanding tradition. It was four years ago that these seniors came into our program having faith in a vision and purpose that hasn’t been quite what they were expecting or looking for. They blindly followed the mission and have proven themselves to be very capable young men. We are proud of them and grateful for the solid foundation they have helped form. Our Junior Varsity experienced the best record in recent school history with achieving a 7 – 3 record with two losses coming late in the fourth quarter and one in overtime. What makes that record most impressive is that ten players from the sophomore class played the season on the Varsity. Our Varsity proved incredible resilience while playing very tough week in and week out and conforming to a totally new system after week three. This year the program focused on several areas for continued development in the well-being and spirit of each young man. Our Football Journey program took on new life with the addition of six life coaches and motivated kick off to the season with a special guest speaker Lee Rubin. Furthermore we implemented the Student-Athlete Academic Support Team, which assisted many of our young men in their weekly academic assignments. It further fostered a strong bond between our teachers and players, helping our players feel more comfortable with the daily academic rigors. We had the opportunity to not only work Serenity farm and pull produce for Farming 4 Hunger but we were blessed with the chance to take our successful football camp to the farm as well. This combined effort of Faith, Food, Farming, Fun and Football, proved to leave a memorable impact on our community. This lead to another Farming 4 Hunger food drop sponsored by Calvert football which served over 100 families in the area. Lastly the program was instrumental in bringing in former NBA superstar Chris Herren who shared with our school community the results in poor decision making through the use of drugs and alcohol. It’s hard to deny the fact that this program wants to win football games and there are so many things that are going into trying to ensure that will in fact happen. But, Calvert football will continue to pride itself in developing quality young people who will be used to impact the world. Football is just one phase of our lives and it should be here in this school, in the community and on the field that the character of who we are is revealed. Ironically the journey for all of us is not always pretty and fun, but it is in those moments where we find the most growth. Calvert football is extremely proud, because there is no doubt that every young men leaving this program is equipped with the knowledge to conquer the world and live a life of service and love.